Spinverse advises Kaidi, one of China’s leading renewable energy producers, to plan a biofuel refinery investment project, an investment of one billion euros to Finland. The second generation biofuel refinery is planned to be built in Ajos, Kemi. The technology used in the biorefinery is globally unique and the planned facility will prove that high-quality biodiesel can be produced from woody biomass. Sunshine Kaidi New Energy Group has been looking for opportunities for growth in Europe. In collaboration with Spinverse, the Chinese renewable energy conglomerate has founded Kaidi Finland, Kaidi’s Finnish subsidiary. Spinverse acts as Kaidi’s representative in Finland, and coordinates the business development, planning, financing and partner selections of the project. 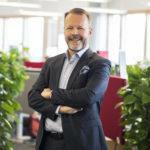 Pekka Koponen, Founder and CEO of Spinverse Group, acts as the Managing Director of Kaidi Finland. “Spinverse is an optimal partner for Kaidi, as Spinverse has led innovation projects worth over one billion euros during its 12 operational years. We will assist Kaidi as needed to make a successful entrance to the European markets,” comments Pekka Koponen. “Finland has the best resources for Kaidi to enter the European market. With Finland’s long-standing experience in forest industry and a positive political climate for investments in the bioeconomy, Finland is the most suitable country in the northern hemisphere to invest in,” comments Chen Yilong, CEO and chairman of Kaidi. The second generation biofuel refinery project is the largest single investment to Finland from a foreign company in history. The plant will produce 200,000 metric tons of biofuels per year and this higher quality biofuel will produce less emissions compared to the first generation biofuels used today. The output of the plant will be 75% biodiesel and 25% biopetroleum. “If everything goes as planned, the new plant will be operational by the end of 2019,” states Pekka Koponen. Kaidi will make the final investment decision during the year 2016.